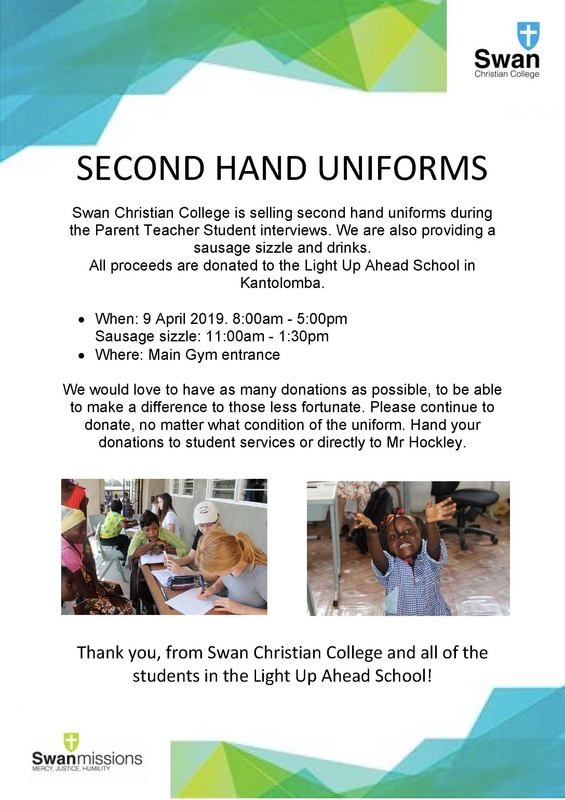 Swanmissions is organising a second hand uniform sale during the Parent Teacher Student interviews on Tuesday 9 April as well as a sausage sizzle fundraiser. 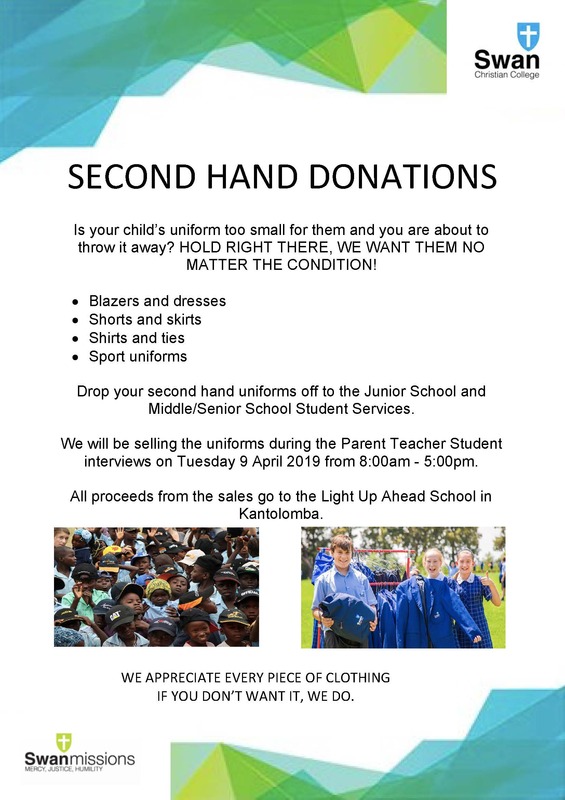 All proceeds of the sale and sausage sizzle will be donated to the Light Up Ahead School in Kantolomba. 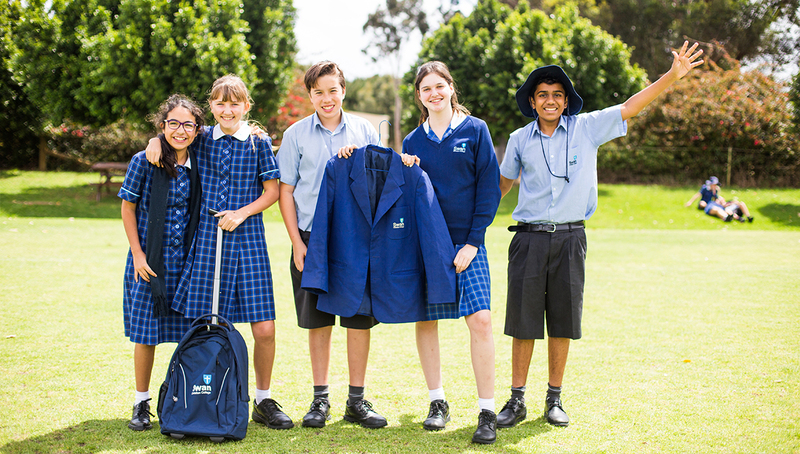 Donations for the second hand uniform sale are required and can be dropped off at Student Services or you can hand them directly to Mr Hockley. We would love to have as many donations as possible to be able to make a difference to those less fortunate. Please continue to donate, no matter the condition of the uniform.